Are the Denver Nuggets cursed? 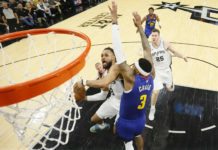 The Denver Nuggets sprung out of the wacky, wild and funny ABA to the NBA in 1976 along with three other future NBA stalwarts; San Antonio Spurs, New York Nets and Indiana Pacers. Of the four squads to come from the ashes of the ABA the Nuggets are the lone team to have never reached the NBA Finals. 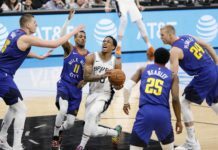 While one could quibble about playoff “success” – as such – over the course of the 42 years the Nuggets have been in the NBA you can’t argue that the Nuggets have lagged behind. The Nuggets history going into their 52nd season is filled with near misses, misfortune and general oddity that few teams have experienced. Let us go over a small sampling of these, starting with their formation in 1967. The Kansas City ABA team? We all know that the Nuggets began life as the Denver Rockets in 1967. Though, Denver had a healthy pre-ABA history with basketball, including a fledgling Denver Nuggets team that played in the NBA for two seasons in the late 1940’s. Most people aren’t aware that the Denver ABA/NBA franchise began as a team based in … Kansas City? Yes indeed the Nuggets franchise who’s been in Denver for the past 51 seasons, wasn’t supposed to exist at all. James Trindle was awarded an ABA Charter franchise in 1967 to be played in Kansas City. One problem … there was nowhere to play. No viable arena in Kansas City to really be found to play basketball. Quickly, Trindle relocated to Denver and named the team the Denver Larks at the suggestion of ABA Commissioner George Mikan. Trindle was almost bankrupt after moving to Denver and the ABA franchise nearly didn’t exist even then if it wasn’t for Bill Ringsby of Rocket Truck Lines who bought the team, renamed them the Rockets, and saved the franchise. The Indiana Pacers brought their mascot, “Dancin’ Harry” with them to game 2 of the 1975 ABA Western Division Semi Finals at the Auditorium Arena to Denver to “put a hex” on the Nuggets. It “worked” and the Nuggets lost the game by a 131-124 score. Supposedly to counteract the appearance of said mascot Team President Carl Scheer and the Nuggets decided to bring in … a witch. Yes, you read that correctly. A witch. Her name? Robota “The wicked witch of the west”. The supposed witch spent almost the entire game throwing curses at the Pacers DURING the game, close to the sideline and behind their bench. Needless to say the curse backfired and the 65 win (best ever season in terms of record and by far the best record in the ABA that season) Nuggets were blown out 109-90 in a game that wasn’t as close as the score indicated. Suffering from severe a combination of epilepsy and a rapid heartbeat , Bobby Jones gutted out 4 tremendous, successful seasons with the Denver Nuggets team that selected him out of college in 1974. 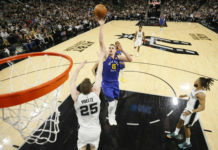 The medications caused Jones to be extremely sluggish and made the Nuggets concerned he may never be able to play at full strength again. Before the 1978-79 season Nuggets traded Ralph Simpson and Jones to the Philadelphia 76ers for George McGinnis a former ABA superstar. Nuggets thought they were getting the final piece that would get them over the top in the NBA’s Western Conference. McGinnis was a colossal disappointment in Denver and was traded a mere year and a half after being acquired (for future Denver superstar Alex English). Jones was a key sixth man in the most successful stretch of Philadelphia 76ers basketball ever. Bobby Jones was the heart and soul of the 1970’s Nuggets, the best-ever Nuggets team. Losing Jones robbed the Nuggets of their soul and effectively (along with David Thompson’s drug habit) ended the first golden era of Nuggets basketball. Calvin Natt – After being traded to the Nuggets before the 1984-85 season, the bruising power forward averaged 23 points and 7 rebounds for that season as he helped the Nuggets get to the Western Conference Finals. A career altering ACL AND Achilles during the opening game of the 1985-86 season was a severe blow to the Nuggets chances the following season. Natt never fully recovered and only partially played the next 4 seasons. LaPhonso Ellis – Tore his ACL playing pick up basketball during the 1994 offseason with Bryant Stith at the Highlands Ranch Recreation Center. It took Ellis nearly an entire year to come back and was never the same player. A subsequent Achilles tendon rupture in 1996 cost him another season. Ellis was one of the Nuggets bright stars in the 1994 season was averaging 15 points and 8 rebounds . Antonio McDyess – Completely tore his patella during the 10th game of the 2001-02 season. The previous season McDyess was putting up near career high averages in points and rebounds and was heading for stardom. McDyess was traded in the 2002 offseason and didn’t play another NBA game until the start of the 2003-04 season. Kenyon Martin – One of the biggest free agent acquisitions in Denver Nuggets history, Martin came over to the Nuggets from the New Jersey Nets where he was on a two time Finals team. Shortly into the 2004-05 season Martin began suffering from what was thought to be knee tendenitis, but, ended up having microfracture surgery on his knee that season. In the 2006-07 season Martin had microfracture surgery on his other knee and missed all but 2 games that year. While Martin was a productive player, his explosiveness was gone and was never the same high flying player he was before. 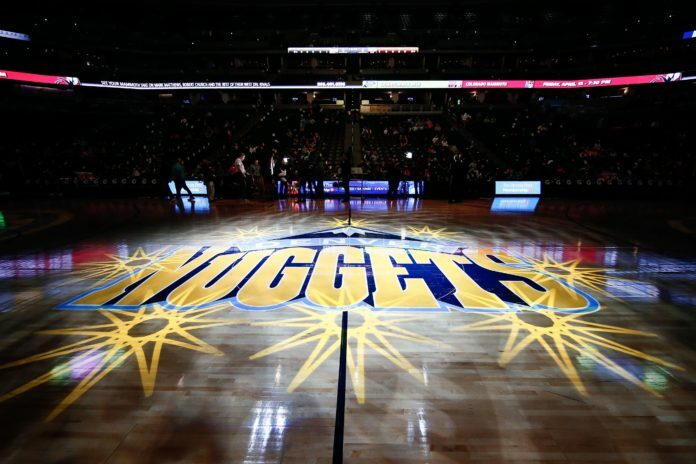 While no-doubt there are many teams who have suffered from missed picks and poor management in the NBA Draft, there are few teams who have been as snake-bitten as the Denver Nuggets when it comes to their luck in the NBA Draft Lottery. In their 15 (about to be 16) Draft Lottery appearances the Nuggets have never moved up. Not once. Worse, when the Nuggets have had the worst record in the League (three times; 1991, 1998, 2003 tied) they have fallen to the worst possible pick they could have under the Lottery system. In all the Nuggets have done worse eight times in the Lottery, and have stayed in the same place seven times. The Nuggets are among only a handful of teams to never have selected first pick in the NBA Draft in their 42 years in the NBA. There are many other misfortunes to have befallen the Nuggets. In recent history Danilo Gallinari’s ACL injury 9 games before the playoffs in 2013 was a franchise altering injury if there ever was one. This is just a sampling. What are your memories of Nuggets misfortunes? I’ll leave you with this; what can the Nuggets do to improve their karma and have good luck shine on them again? Do they need to find Robota again and find out if the curses rebounded on the Nuggets? I’m hoping it doesn’t come to ritual sacrifice.